Our revolutionary plain purple tablecloths combine specially designed fibres with a unique soft touch finishing for a luxurious "cotton-soft" feel. Featuring a number of market leading features including unsurpassed colour retention, superb stain release & minimal shrinkage. There is a science to table linen. Our revolutionary plain purple tablecloths combine specially designed fibres with a unique soft touch finishing for a luxurious "cotton-soft" feel. Our unique tablecloths offers unsurpassed colour retention, superb stain release, minimal shrinkage, excellent resistance to snags and outstanding absorbency. It`ll take more than a spilled glass of wine to spoil the occasion. It is a true purple which is what I needed for Advent & Lent Our Response So glad we could assist! good quality and i will buy again from you Our Response Glad you are happy with the tablecloths Philip. Enjoy! 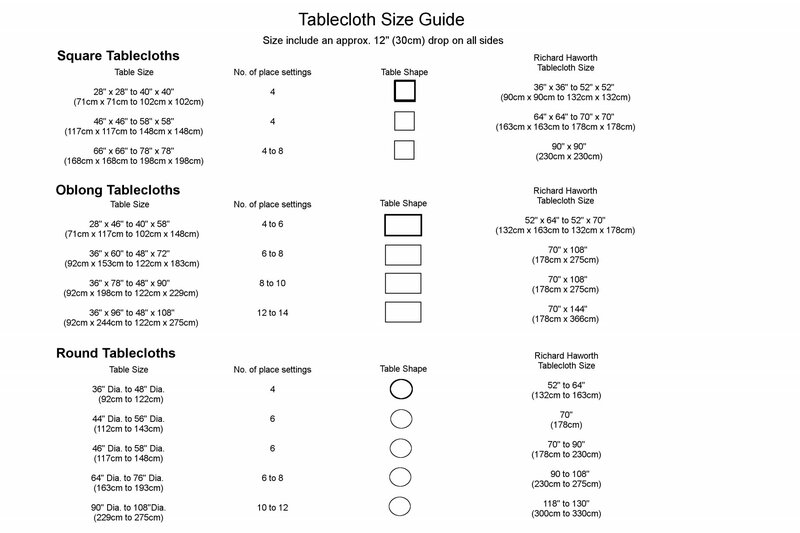 Excellent quality tablecloths. Have washed beautifully. Colour exactly as described. Very pleased with product. Good quality, colour exactly as expected. Very pleased!